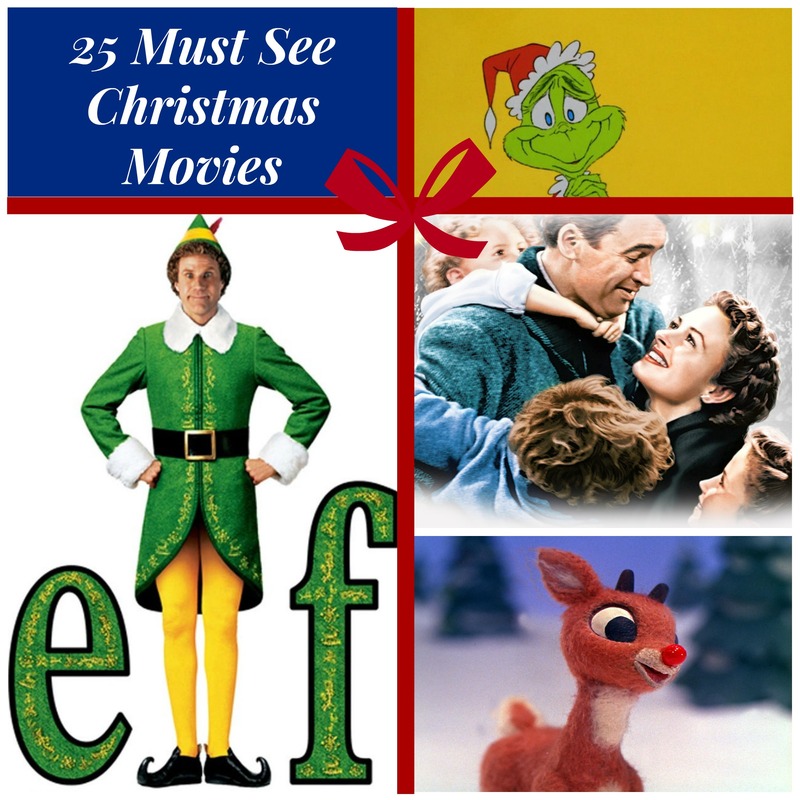 Tis the season for list making, but we’ve got the list of 25 Must See Christmas Movies all done for you. You’re welcome. When you need a break from Christmas merry making or you need to get back in the spirit after a day spent in the grinchiest of all places, the mall, tuck up under a cozy blanket and prepare to enjoy some festive down time. December 1: Get your grinchy heart growing with Dr. Seuss’ How The Grinch Stole Christmas. December 2: Santa Clause 1, 2, and 3 – Could you become Santa Claus? What if your child was on the naughty list or you had to deal with the likes of Jack Frost? December 3: Home Alone – A cute kid outwitting a pair of bumbling burglars; even Santa himself would have a chuckle at the fun silliness of this movie. December 4: Miracle on 34 the Street is a must see because Christmas isn’t just a day, it’s a frame of mind. December 5: A Christmas Story reminds us not to stick our tongues on frozen metal poles or swear in front of our mothers. December 7: White Christmas – Singing, dancing, comedy, and romance, this Christmas movie has it all! December 8: Frosty the Snowman, another magical character making an appearance at Christmastime. December 9: A Christmas Carol (1951); You better watch out if you’ve lost your Christmas spirit, the ghosts of Christmas past, present, and future might show up to help you find it. – Buddy the elf can come to my house for dinner anytime. I’ll have the candy, cane canes, candy corn, and maple syrup ready. December 11: Christmas with the Kranks – Cozy up and watch this family try to put together a last minute Christmas celebration and regain their Christmas spirit in the process. December 12: Arthur Christmas – So how does Santa deliver all those presents in one night? You’ll have to watch the movie to find out. December 13: Polar Express – All aboard! This movie is just the ticket to give your belief in the holiday spirit a little lift. December 14: It will take One Magic Christmas for a cynical mother to regain her belief in the spirit of the season. December 16: Rudolph the Red Nosed Reindeer – Ever feel like a misfit? Don’t worry Rudolph’s got your back. December 17: Nightmare Before Christmas – What happens when the pumpkin king of Halloween tries his hand at celebrating Christmas? December 18: Charlie Brown Christmas – We all need a Linus in our lives to remind us what Christmas is all about. December 19: Nestor the Long Eared Donkey – Watch this cute little donkey follow his guardian cherub all the way to Bethlehem. December 21: Fred Claus – Come for the great storyline, stay for the epic snowball fight. December 22: Little Drummer Boy – The life of a frustrated drummer boy is changed when he meets three wise men on a very special journey. December 23: Four Christmases – Could your relationship survive four Christmases with two sets of divorced parents? December 25: Every time you watch It’s A Wonderful Life an angel gets its wings. You made it! Merry Christmas! Hopefully, you’ve had a peaceful hour or two of holiday entertainment every day for the last 25 days. Now it’s time to crawl out from under that blanket and go make the rest of your holidays merry and bright.